Getting to the 3-Peaks Challenge: Have you Planned your Transport? At Limo Broker we believe we are the safest and most reliable option for transport, possessing experience in many different types of events and trips. Over the past 5 years we have become a sought-after business amongst the adventurous individuals of the country, thrill-seekers that take part in the infamous 3-peak challenge. With participants coming form all over the country to tackle Ben Nevis, Scafell Pike and Snowdon it is an event that demands fine-tuning. Although relying heavily on personal fitness the 3-peak challenge also requires lots of preparation logistically. This is where we come in. With a total of 480 miles inter-mountain driving, 24 miles of power-trekking and climbing a total of around 3,000 vertical metres it is not for the faint hearted. If you are planning on taking part then ensure you get in contact to arrange your transport. Last Minute 6 Nations Transport: We Can Help! With the whole country gearing up for the sporting event of the year we at Limo Broker still have our heads in business, helping the sporting fans of the country arrange last minute transport to the infamous stadiums the UK hosts. Offering an assortment of luxury transport solutions it is safe to say that we can make the Six Nations experience even more enthusing, adding a touch of class to the Rugby celebrations. We can also arrange for international transport, boasting the industry contacts to get you to stadiums such as Stade de France and Sadio Olimpico. Hailed for being the UK’s first choice for sporting transport we at Limo Broker hold the ability to partner fans of all clubs to the ensuring they so desire, with our impeccable, large fleet securing availability for all. How much does vehicle hire cost? 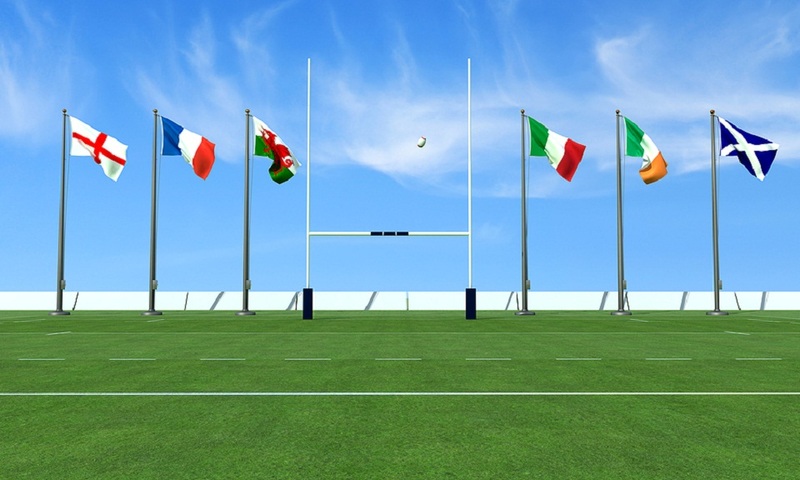 If you would like to receive a free, tailored quote for this year’s Six Nations games call us today on 0844 567 52 52. We will put in contact with a transport expert that will tend to your every need. With the Euros being one of the most prestigious tournaments on the sporting calendar great transport is a necessity, ensuring sporting fans can make the most of the games they are eager to see. With kick-off in May it is definitely time to start thinking about how you will get to and from the stadiums, requiring solutions that mirror the importance of the event. With a strong affiliation with the sport we ensure our customers are spoilt for choice, putting a large number of options their way. Where transport to sporting events is infamously pricey we aim to help fans locate competitive rates, searching our network of providers to find the perfect travel solution. Renowned for surprising customers with low cost rates for travel we have fast evolved into the UK’s first choice for sporting transport, boasting an unparalleled reputation amongst supporters. To learn more about our hire services contact us today and speak with a member of the sales team. They will talk you through the long list of options available to you and your group. With all UK rugby fans making their way out of the woodwork it is understandable why brands are trying to capture our attention, creating rugby-themed products in order to entice us into a purchase. 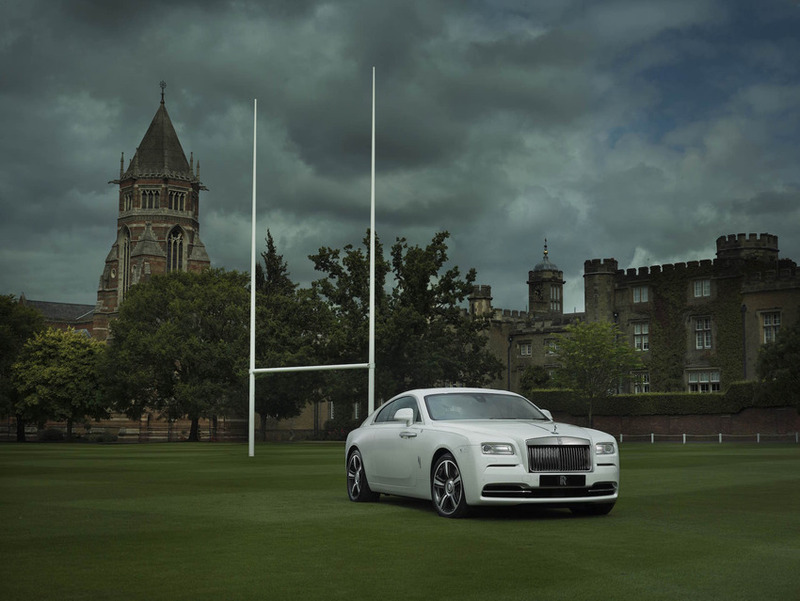 The latest company to do so is surprisingly Rolls Royce, introducing the ‘Wraith – History of Rugby’ edition. Celebrating the illustrious history of the game, Rolls-Royce Motor Cars is extremely excited to unveil this unique creation. Made in the Bespoke Design Studio in Goodwood the car is quintessentially British, with various features echoing the feel of the sporting spirit. The first change is to the exterior, adorned in “English White” paint. This change is said to represent the Rugby jerseys worn by the English rugby team. Continuing Rolls-Royce’s reputation for personalisation, the Wraith’s signature shoulder-line is made the key signifier by a hand-applied coachline in deep green, featuring an English rose motif in red. Each headrest of the car features an embroidered red rose also, with Hotspur Red spilled onto the dashboard accent panel, seat as well as the door piping. If you are considering something more luxurious than a coach or minibuses then we at Limo Broker can arrange for Rolls Royce Wraiths, Phantoms and Ghosts to chauffeur you to and from the stadium. Call us today and learn more about our Rugby World Cup transport services. We are proud to announce that we have partnered with many fan clubs for the Rugby World Cup 2015, catering to the transport needs of both UK and international fans. Having been accommodating to the needs of sporting fanatics for many years you can only imagine our excitement for this year’s Rugby World Cup, truly thrilled to help Rugby supporters get amongst the action. ‘Limo Broker has gone to great lengths to gear up for this year’s tournament, paying particular attention to offerings an assortment of cars to our customers’. Being the rugby fans’ first port of call when booking transport to and from the stadium we have already seen an influx of bookings for next year, having to add to our pool of cars as a result. 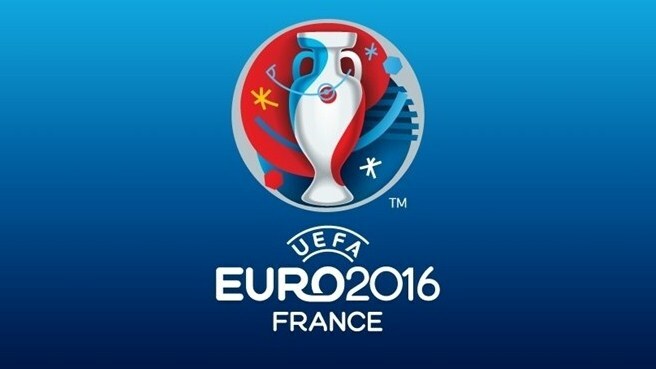 Looking to book in early? If you would like to learn more about securing your transport to get to the Millennium Stadium then be sure to call Limo Broker today. Not only can we offer a whole catalogue of cars, limos and buses but we are also the cheapest luxury car company in the UK, doing all we can to offer great rates for travel.